A stunning hand-crafted candle straight from my witchin' country kitchen. 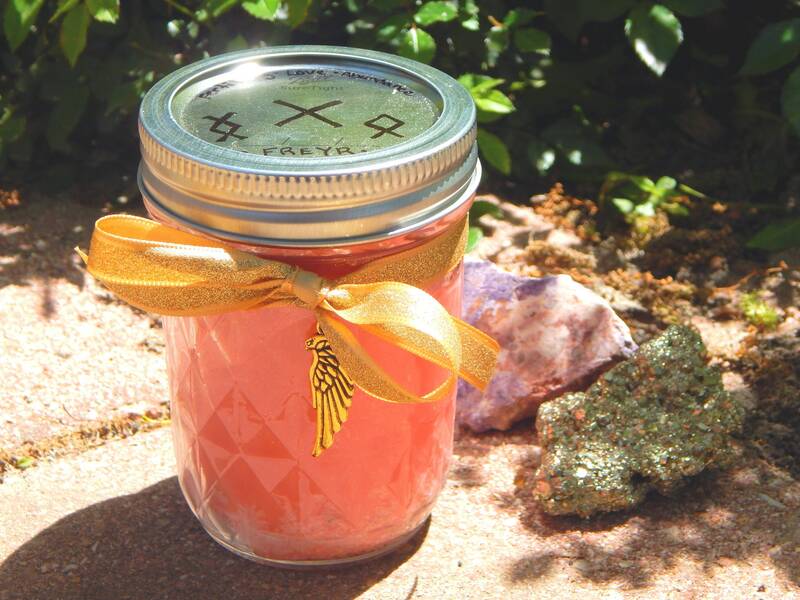 Each is created from scented soy wax with a light fragrance, in an 8 oz quilted 'jelly jar' tailor made with corresponding runes to honor the Goddess Freya. 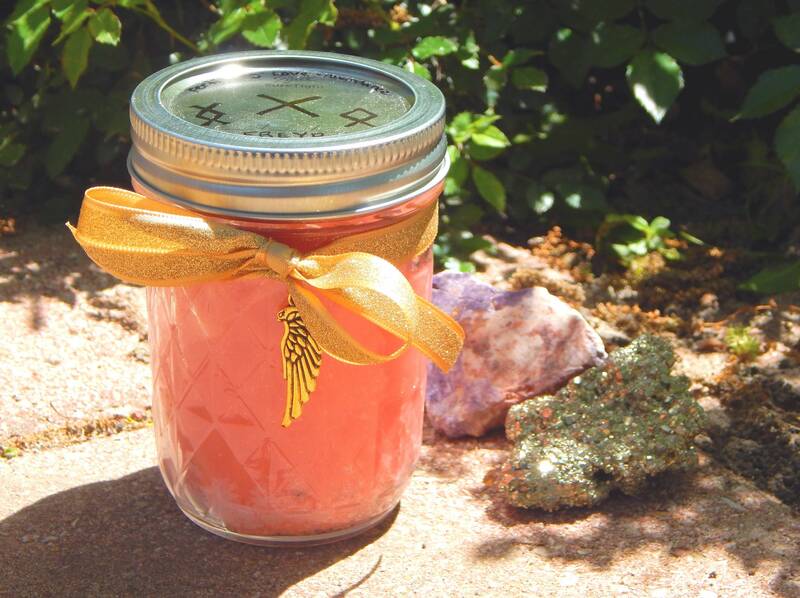 The properties of this candle are perfect for fertility, love and prosperity work, or to be used as a devotional candle to the Goddess Freya. This candle is adorned with a gold ribbon and gold hawk charm, an animal sacred to Freya, whom lore states can magically take the form of a hawk. 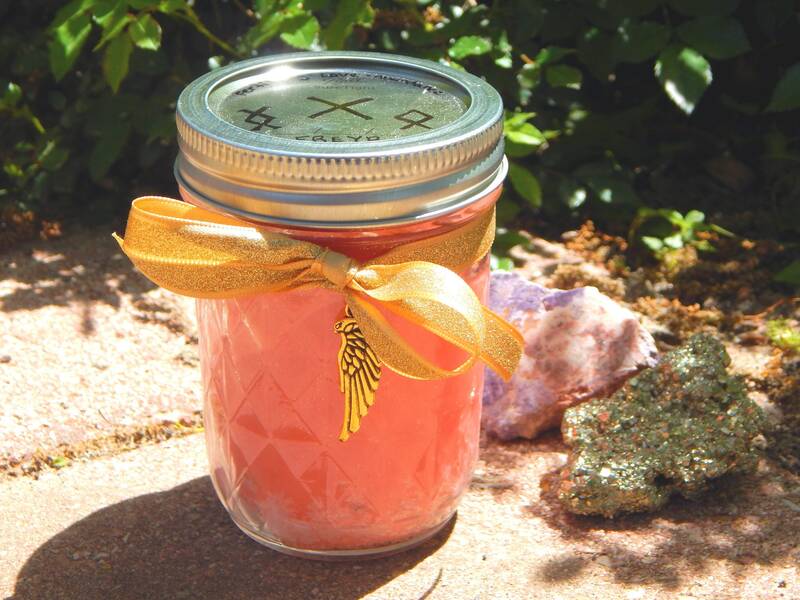 I craft the candle using all natural hand-selected herbs with corresponding properties, and fully dress the candle with herbal oils- all hand-crafted in the old ways. Approximate burn time of these candles ranges from around 32-45+ hours. Check out my other Goddess selection candles, available in many scents and varieties.